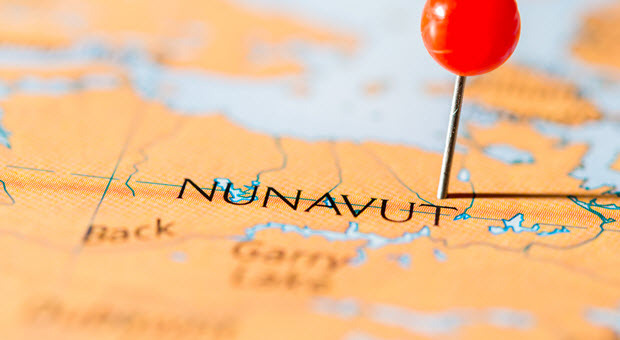 Nunavut is one of the larger territories in Canada and also one of the most sparsely populated. Just like the rest of the country, a criminal record can stand in your way of gaining employment, volunteering, travelling abroad, and more. Far too many people are living with the ongoing consequences of an old possession, DUI, fraud, or theft conviction. Denied employment, rejected volunteer applications, international travel troubles, and other obstacles are the results of a less than squeaky clean record. Fortunately, a pardons Canada can be the answer you are looking for. When you apply for a government position, it’s not quite as simple as non-government job applications. You will be under even greater scrutiny because your job carries additional responsibility and authority. Along with your education, experience and ability to do the job, you will be judged on your moral character. This is where your criminal record can make the water a little murky. Background checks are a must when applying for a government position. There is no hiding from your criminal record, which is why you should always be forthcoming when completing your application. If you lie on your job application and you are later found out, this could instantly mark you for rejection. It is also important to remember that a criminal record does not automatically make you ineligible to apply for government jobs. One of the main determining factors is whether you were charged with a misdemeanour (speeding tickets) or a criminal act (fraud or theft). Each conviction is further analyzed to determine its severity. For instance, theft is seen as a criminal act but authorities do distinguish between different forms of theft, such as a child sneaking a chocolate bar into their pocket at a shop and somebody defrauding their employer or clients. The type of job for which you apply comes with its own set of standards and requirements. In other words, depending on the position you’re applying for, your criminal record may be of little consequence. For example, a fraud or DUI charge is not necessarily seen in the same light as a murder conviction. Whether you have a DUI, possession, fraud or theft conviction, you will need to submit a pardons Canada request in order to clear your record. A clear record makes things like renting your dream apartment and volunteering that much easier. A Canadian pardon will seal the records relating to your conviction, which will allow you to always put your best foot forward. No matter the type of conviction or severity, it is always a good idea to play it safe. Before applying for a job, volunteer position or filing for custody of your children, you should consider the option of pardons Canada. If you were not convicted of the crime, then you might need to apply for record expungement. In both cases, certain criteria must be met. In the case of a Canadian pardon, you will need to wait for the appropriate amount of time after the sentence has been carried out. Any and all fines need to be paid in full as well as all time served. That said, at Federal Pardon Waiver Services, we understand that the process can be particularly time-consuming, which is why we recommend that you begin early. That way, as soon as the allocated amount of time has passed, you will be ready to apply immediately. To apply for your Canadian pardon in Nunavut, we will need to obtain your RCMP file. This will require your fingerprints and is one of the first steps of the application process. Call 1 (800) 543-2137 for professional pardons Canada assistance.